My immediate response to the intricate carvings in these photos is awe — maybe even admiration. I can't believe they are made by hand from one solid piece of material. With such detail and complexity, I can see why they would be coveted and sold at a high price. The rub is that the material is ivory, and the cost is way more than just the literal price tag. Poaching elephants for ivory is nothing new — but now, "levels are currently at their worst in a decade," according to the cover story of National Geographic's October issue. The article by Bryan Christy delves deep into the systemic, global problem. "A sculpture like this can take a master carver years to produce. Front and center are the popular Taoist gods Shou, Lu and Fu -- symbols of long life, money and luck. 'We hope -- no, we insist -- we can continue to protect these skills,' says Wang Shan, secretary-general of the China Arts and Crafts Association." 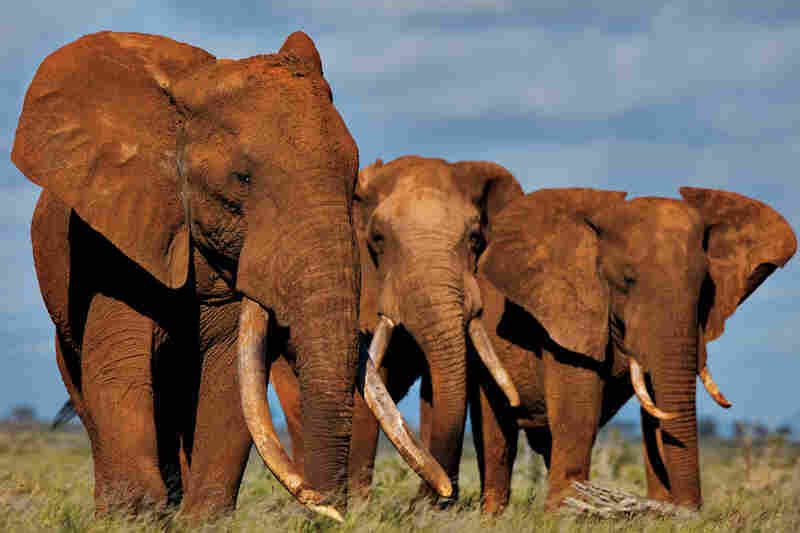 "Some of the last big tuskers gather in Tsavo, Kenya. A single large tusk sold on the local black market can bring $6,000, enough to support an unskilled Kenyan worker for 10 years." 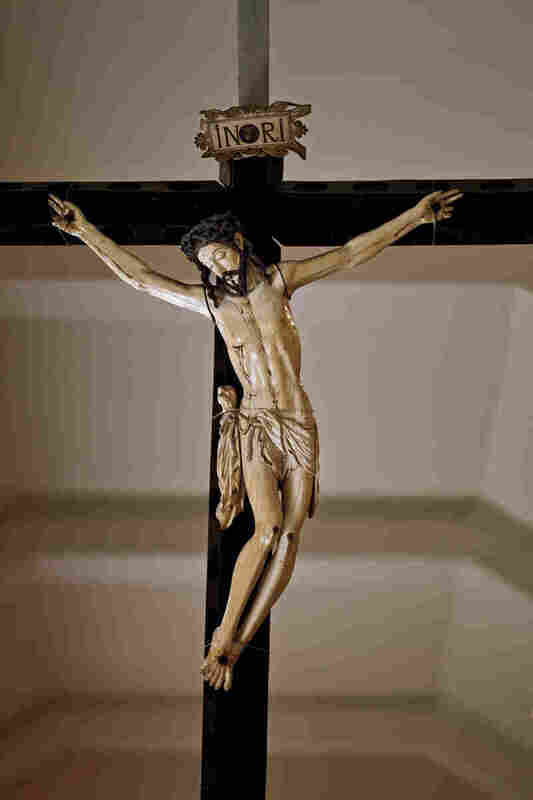 "The largest ivory crucifix in the Philippines hangs in a museum in Manila. The body of Christ, 30 inches long, is carved from a single tusk. The piece dates to the early 1600s, when Spanish galleons began bringing Asian ivory craftsmanship to Spain and the New World." "Bodies are what remain in Cameroon's Bouba Ndjidah National Park after one of the largest mass elephant slaughters in decades. 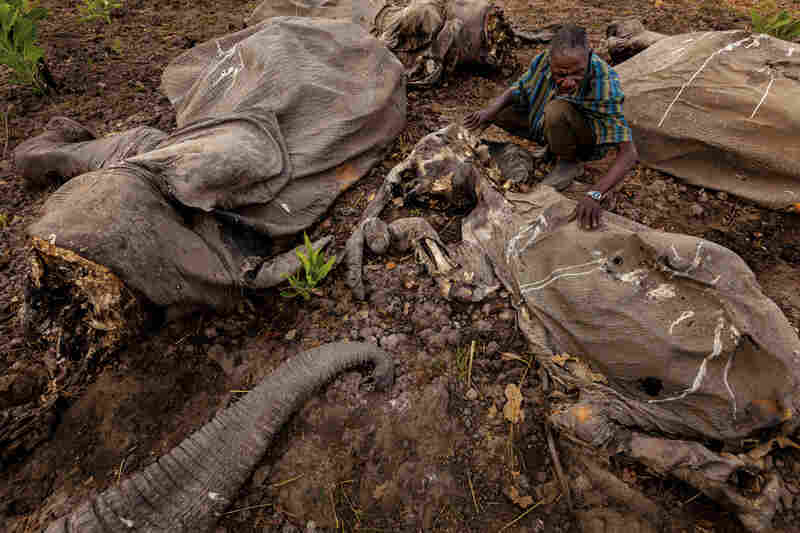 Armed with grenades and AK-47s, poachers killed more than 300." 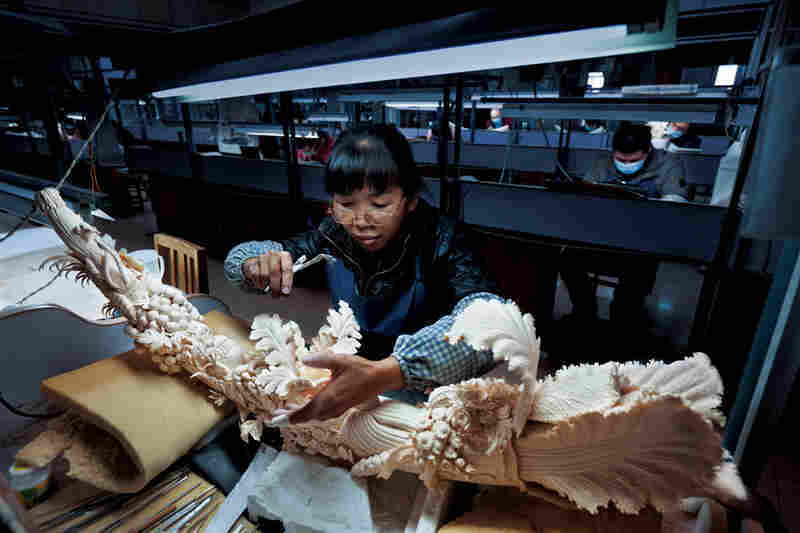 "A worker in China's largest ivory-carving factory finishes a piece symbolizing prosperity. 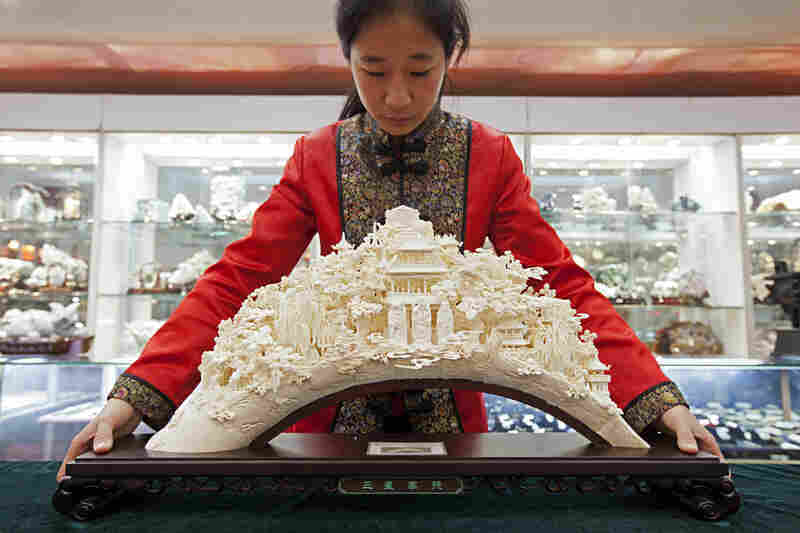 China legally bought 73 tons of ivory from Africa in 2008; since then, poaching and smuggling have both soared." 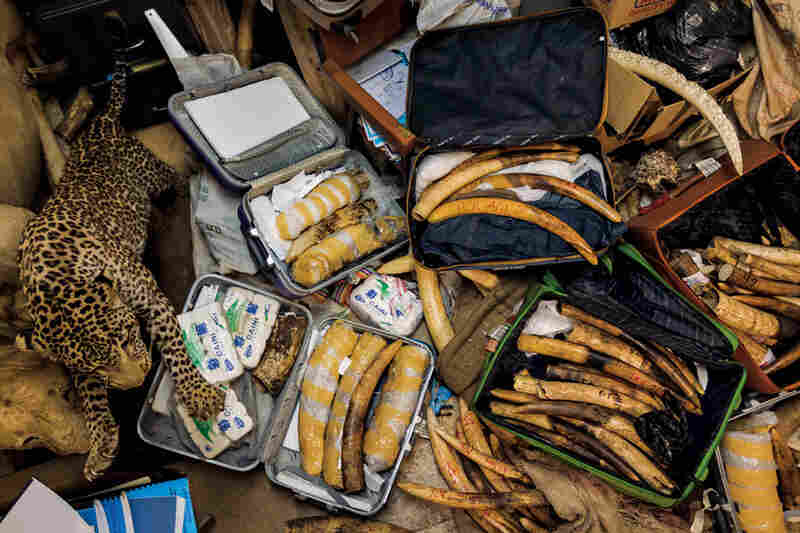 "Smugglers failed to get this contraband past Kenya's law enforcement, but the animals are still gone. Small tusks indicate that young elephants were poached." "Although the world has found substitutes for every one of ivory's practical uses — billiard balls, piano keys, brush handles — its religious use is frozen in amber, and its role as a political symbol persists." The preciousness of ivory has deep roots all over the world — appearing in Catholic iconography in the Philippines, for example, and Buddhist figurines in Thailand and China. The crux of the issue is revealed when Christy asks a collector if he ever thinks of the animal. "Not at all," he's quoted as replying. So how do you put an end to something with such cultural significance? Christy's article does a thorough job of exploring that and other questions.